Baltimore native Loghan Bazan is a versatile performer who has been praised for her “spirited voice” and “fierce and fantastic” stage presence (Theatre Bloom). She has garnered acclaim for her portrayal of both operatic and musical theatre characters, being selected as a DC Metro Arts Best of 2016 Honoree for her performance as Maureen Johnson in Annapolis Summer Garden Theatre’s production of RENT, and a DC Metro Arts Best of 2014 Honoree for her “special standout” performance as Dorabella in Maryland Opera Studio’s production of Così fan tutte. Loghan recently collaborated on Compōs-it Opera’s premiere of a new work entitled The Treachery of Birds – an Exhibition Opera, as the protagonist Snowderella. Other operatic appearances include Zerlina in Don Giovanni (Blooming Voce Summer Opera), Dorabella in Così fan tutte (Opera Camerata of Washington), L’enfant in L’enfant et les sortilèges (Maryland Opera Studio), Annio in La clemenza di Tito (Undercroft Opera), Cherubino in The Marriage of Figaro (Undercroft Opera), and Gianetta in L’elisir d’amore (Valley Lyric Opera). Loghan finds herself equally at home as a concert soloist and recitalist. This season, she returns to her alma mater Carnegie Mellon University as the alto soloist for Beethoven’s Ninth Symphony under the baton of Maximiano Valdes. She also appeared as a soloist with The Bach Choir of Pittsburgh during their 2017-2018 season. In 2015, Loghan performed for the re-opening of the Smithsonian’s Renwick Gallery in Washington, D.C., and toured the D.C. area with the cross-genre, all-female group Sopranessence. In 2014, she was invited to SongFest in Los Angeles and was one of twelve singers cast in their “Songs in the Key of LA” tour – a project in collaboration with Los Angeles Opera, where she worked closely with composer John Musto. Loghan is a professional core member with the Bach Choir of Pittsburgh and sings regularly with Shadyside Presbyterian’s Chancel Choir. 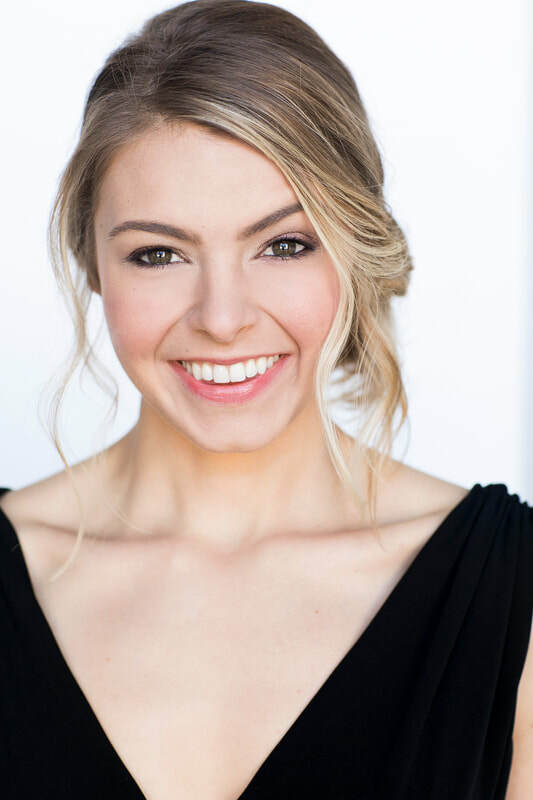 She graduated with a Master of Music in Opera from The University of Maryland’s Maryland Opera Studio, and holds a Bachelor of Fine Arts in Voice and with University and College Honors from Carnegie Mellon University. She resides in Pittsburgh, PA with her husband and their rescue dog, Coda. When she is not performing, Loghan enjoys baking pies, taking spin classes, and exploring the great outdoors. She also has an affinity for game shows and has been seen as a contestant on CBS’ The Price is Right and ABC’s $100,000 Pyramid.